Capturing a place and time that are unique in American art history, a former museum director traces the curatorial process and artistic lineages linked to intriguing artists during significant shifts in the sociopolitical climate at the U.S.-Mexico border. Located less than a mile from Juárez, the Stanlee and Gerald Rubin Center for Visual Arts at the University of Texas at El Paso is a non-collecting institution that serves the Paso del Norte region. In Curating at the Edge , Kate Bonansinga brings to life her experiences as the Rubin’s founding director, giving voice to a curatorial approach that reaches far beyond the limited scope of “border art” or Chicano art. Instead, Bonansinga captures the creative climate of 2004–2011, when contemporary art addressed broad notions of destruction and transformation, irony and subversion, gender and identity, and the impact of location on politics. 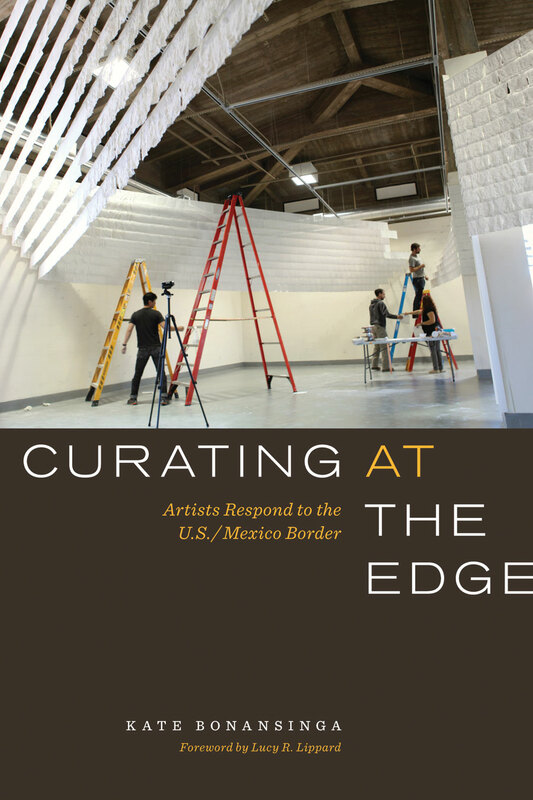 The Rubin’s location in the Chihuahuan desert on the U.S./Mexican border is meaningful and intriguing to many artists, and, consequently, Curating at the Edge describes the multiple artistic perspectives conveyed in the place-based exhibitions Bonansinga oversaw. Exciting mid-career artists featured in this collection of case studies include Margarita Cabrera, Liz Cohen, Marcos Ramírez ERRE, and many others. Recalling her experiences in vivid, first-person scenes, Bonansinga reveals the processes a contemporary art curator undertakes and the challenges she faces by describing a few of the more than sixty exhibitions that she organized during her tenure at the Rubin. She also explores the artists’ working methods and the relationship between their work and their personal and professional histories (some are Mexican citizens, some are U.S. citizens of Mexican descent, and some have ancestral ties to Europe). Timely and illuminating, Curating at the Edge sheds light on the work of the interlocutors who connect artists and their audiences. Kate Bonansinga is Director of the School of Art in the College of Design, Architecture, Art, and Planning at the University of Cincinnati. She was the first director of the Stanlee and Gerald Rubin Center for the Visual Arts at the University of Texas at El Paso.